Engage at the Bush Center, presented by Highland Capital Management brings authors, thought leaders, and newsmakers to the George W. Bush Presidential Center. Retired U.S. Navy Admiral William McRaven, who as commander of U.S. Special Operations Command led the planning and execution of the secret raid that eliminated Osama bin Laden in May 2011, headlines an impressive panel on the topic of leadership in today’s military for the Boeing Lecture. Admiral McRaven led a force of 69,000 men and women and was responsible for conducting counter-terrorism operations worldwide. A former Navy SEAL and White House National Security Council advisor under President Bush, Admiral McRaven served as chancellor of the University of Texas System from 2014 until retiring in May. 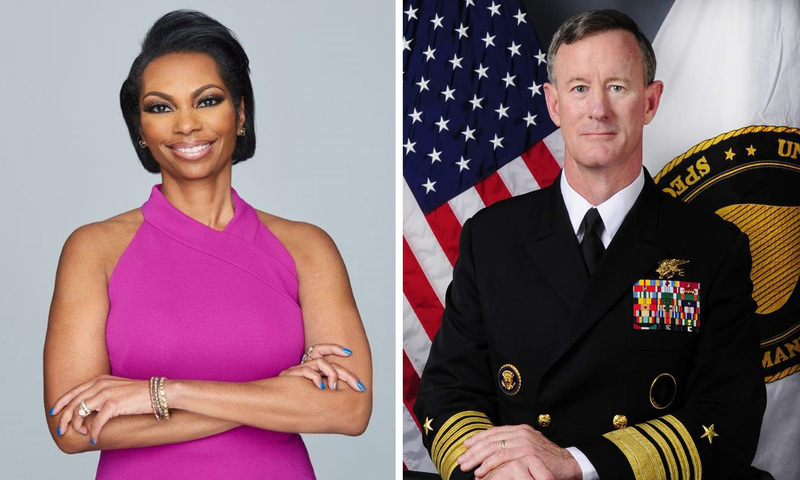 Moderating the Boeing Lecture is Harris Faulkner, co-host of Outnumbered and host of Outnumbered Overtime on the Fox News Channel, and the author of 9 Rules of Engagement: A Military Brat's Guide to Life and Success. Faulkner, the winner of multiple Emmy Awards, will call upon her own background in a military family to lead a compelling discussion of the issues faced by today’s military leaders and the keys to effective leadership. Also on the panel will be two members of the Bush Institute’s Stand-To Veteran Leadership Program: Mary Beth Bruggeman is Vice President for Program Strategy at The Mission Continues, a non-profit that empowers veterans to lead in their communities. A U.S. Naval Academy graduate, Bruggeman says the proudest moment of her military career was “leading a company of Marines into Iraq during the 2003 invasion…and then leading them back out safely!” Jason Pak is a senior manager at Boeing, leading veteran outreach initiatives. He is a graduate of the U.S. Military Academy at West Point. While deployed to Afghanistan in 2012, Pak was wounded by a dismounted IED while on foot patrol. He medically retired with the rank of Captain. Pak’s awards and decorations include the Bronze Star Medal and Purple Heart.